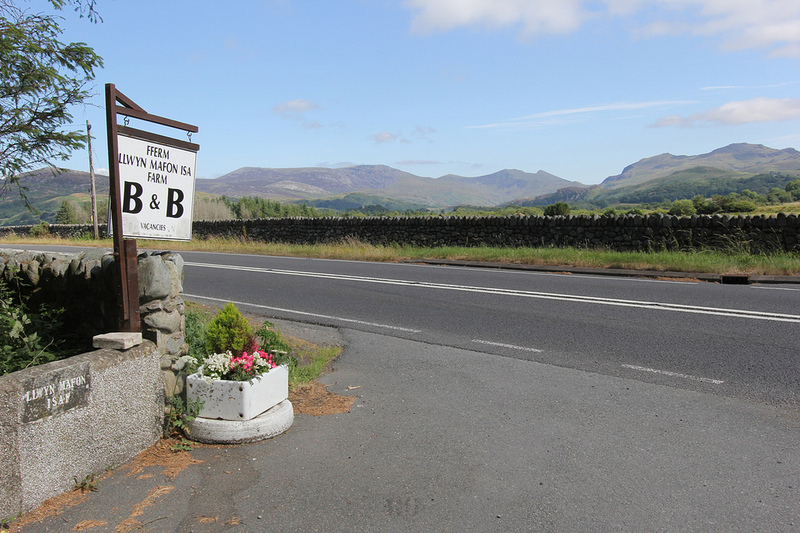 The Farmhouse driveway is approached from the A487 Caernarfon/Porthmadog road, signposted Llwyn Mafon Isaf B&B. The driveway is 500 yards to the farmhouse. There is ample parking – enough for 4 cars. Cars can be unloaded there and assistance is available if required. The entrance door of the farmhouse is accessed via the Garden on the garden pathway leading to the front double glazed white door. There is a small step of 330mm high leading to the entrance door of 865mm wide leading into the hall of the farmhouse. The Entrance Hall is carpeted. The Hall is well lit with a lamp and bright ceiling light. This is situated on the left of the end of the Hall. Sitting room door is 724mm wide, carpeted and has a wood burner. Large sofa and two chairs, coffee table, and two dining tables and chairs. All guest Bedrooms are on the first floor, accessed from a flight of 12 wooden steps onto the carpeted level on the first floor. 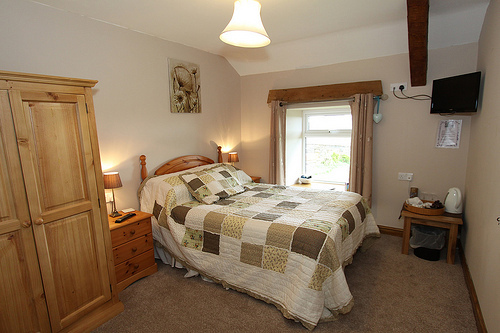 Accommodation on the first floor comprises 1 double en-suite room and 1 Superking/Twin en-suite. All doorways to rooms, en-suites are 685mm. 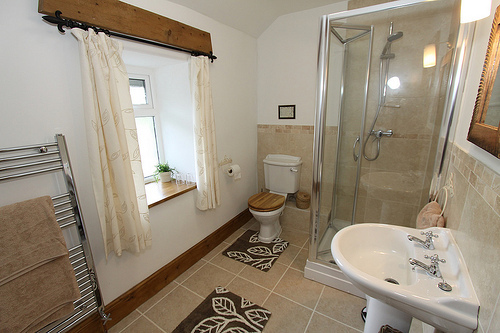 All en-suites have tiled floor, 5tf towel rails, Pedestal sinks, and Cubicle Shower with either Bi-fold or sliding doors. A shaver socket is situated next to the wash hand basins. All guest rooms have freeview tv, hospitaliti tray, hairdryer and bathroom amenties. Also wi-fi is available. Other Information The farmhouse also has fire alarms and carbon monoxide alarm in the Landing and Hallway of the visitor area. 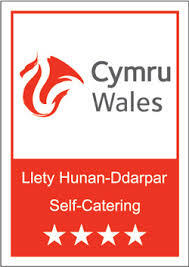 Llwyn Mafon Isaf is not suitable for wheelchair use. General The farmhouse is 2.5 miles to the nearest general store. We are 5 miles from Porthmadog and 3 miles from Criccieth which has a wide range of facilities and shops. Public transportation is available for drop-off at the entrance of Llwyn Mafon Isaf, but not for pick-up as there is no bus signpost. Local public house serving meals is available at Tremadog (2.5 miles). This Access Statement was updated January 2013.